books illustrated blog: A tour of "Look! 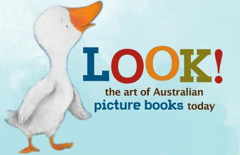 the art of Australian picture books today" on ABC Radio's "The Book Show"
A tour of "Look! 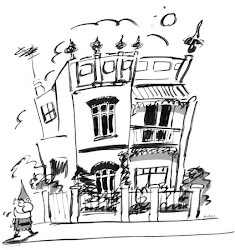 the art of Australian picture books today" on ABC Radio's "The Book Show"
Sarah L'Estrange from "The Book Show" recently visited the State Library's Look! exhibition and interviewed the curator, Mike Shuttleworth, and illustrators Ann James and Shaun Tan. If you missed the interview live - you can still listen here.